The global tube packaging market was valued at USD 7.06 billion in 2017, and is expected to reach a value of USD 9.79 billion by 2023, at a CAGR of 5.46%, during the forecast period (2018 - 2023). The scope of the market covers only tube packaging products that include squeeze, twist, stick, cartridges, and others. The personal care market is expected to witness a healthy growth during the forecast period, owing to the growing importance of appearance among, both, men and women. Tube packaging finds extensive use by manufacturers as it meets multiple requirements, such as price, convenience in usage, particularly for specialty cosmetics. It is also an eco-friendly packaging option, which enables the manufacturer to include this in their branding efforts. Longer shelf life and robust barrier properties coupled with the ease of transportation, owing to its less bulky nature aid in the usage of tube packaging for cosmetics. Consumers prefer the convenience of tube packaging, as it comes in a variety of heads that makes dispensing cosmetics much easier, and also allows less wastage of the product. For both cosmetic brands and consumers, require portable and ease in one-handed application, which is more hygienic for the user. Thus, opting for a tube as a preferred packaging solution. 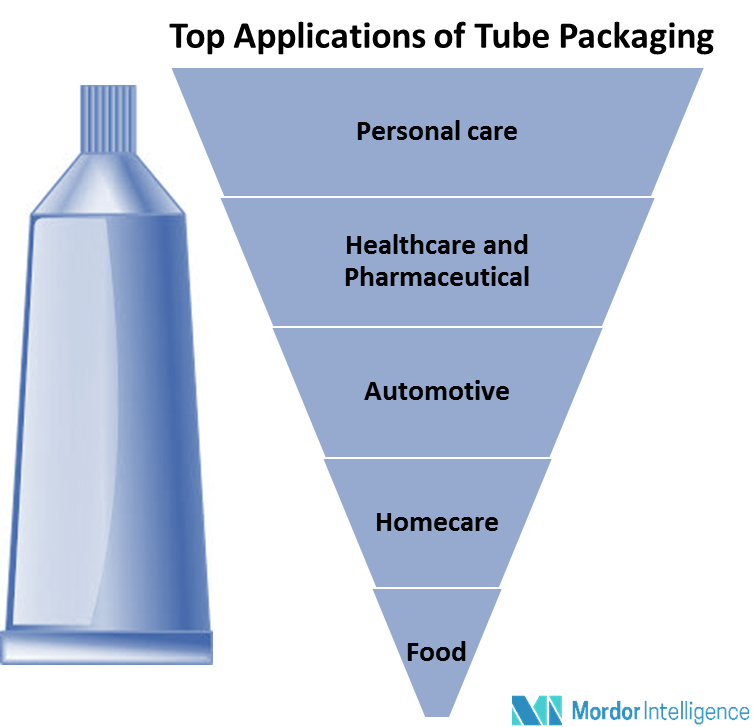 All these factors have driven the adoption of tube packaging in the personal care sector. The consumers in Middle East, particularly the regions of Saudi Arabia and UAE, have been identified to spend extensively on beauty & personal care, color cosmetics, and skincare, owing to high disposable income. It has been estimated that one in every 10 consumers in the nation is estimated to be spending around AED 60,000 a year on beauty products, the equivalent of a small car or a one-bedroom apartment in Dubai Marina. In the UAE, particularly, consumers spent over USD 2.1 billion on beauty and personal care in 2016. The top five categories were fragrances, color cosmetics, skin care, men’s grooming, and hair care. With consumers increasingly turning to internet for advice on beauty and personal care products, the influence of digital channel has grown lucratively. Manufacturers of personal care products have been identified to have set-up Pan-Arab company websites, and brand-specific Facebook accounts & Twitter profiles. And, have started online marketing developments within beauty and personal care focused on YouTube, by launching YouTube profiles with numerous advertising clips, to take advantage of growing social media usage and targeted marketing. Further, organic & natural cosmetics are expected to gain traction during the forecast period, owing to increase in education & professional class in the region. The population is becoming more acutely aware of their health, and is conscious of good living habits, and chemical-free organic & natural products. The industry will be driven by new product innovations and the indulgent nature of beauty & personal care coupled with consumers increasing their expenditure on products, the tube packaging market in the Middle East is expected to witness robust growth. Stick packaging is expected to witness the fastest growth with emerging opportunities in favorable prospects, such as condiments and pharmaceuticals. This growth is expected to augment the advantages of product differentiation, material savings, and portability compared to conventional single-portion packaging types. Squeeze tubes held the largest share of the market, and is expected to witness healthy growth, owing to it being an affordable and convenient form of packaging. Cartridge tubes offer accurate dosing of pharmaceuticals, and also serve as a sample for cosmetics & toiletries, making them a favorable form of packaging in the personal care & pharmaceutical sector. Tubes with laminations are expected to maintain their dominance for packaging of toothpastes, and will also gain ground in other cosmetic & toiletry applications. Major Players: Amcor Limited, Bemis Company, Berry Plastics , Essel Propack Limited, VisiPak Inc., IntraPac International, Fischbach KG., CCL Industries, IntraPac International Corporation and Albéa S.A., among others.